Belly fat refers to the accumulation of fat around your midsection. It is unappealing, undesirable and could also be a sign of obesity. However, adding the right foods to your diet might help. Here are 5 foods which help burn away belly fat. Ginger root can be an excellent weight loss aid and is in fact found in many weight loss supplements. Ginger root has appetite suppressing qualities, and it has been shown to rev up the metabolism. Fresh ginger, which is said to be the most effective form of ginger, is available year round in the supermarkets. Regularly eating a bowl of oatmeal for breakfast is a great way to start a day off right. 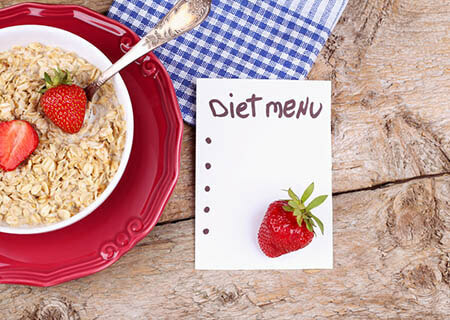 Research shows that oats are among the most filling foods, and eating them early in the day can reduce the number of calories consumed throughout the rest of the day. This is not surprising as oats are an excellent source of protein and fiber—two macronutrients that are well known to enhance the feeling of satiety. In addition, oats are an excellent source of B vitamins and zinc. Do you want to read more similar stories? if you like our Facebook fanpage, you can read everyday such amazing stories.